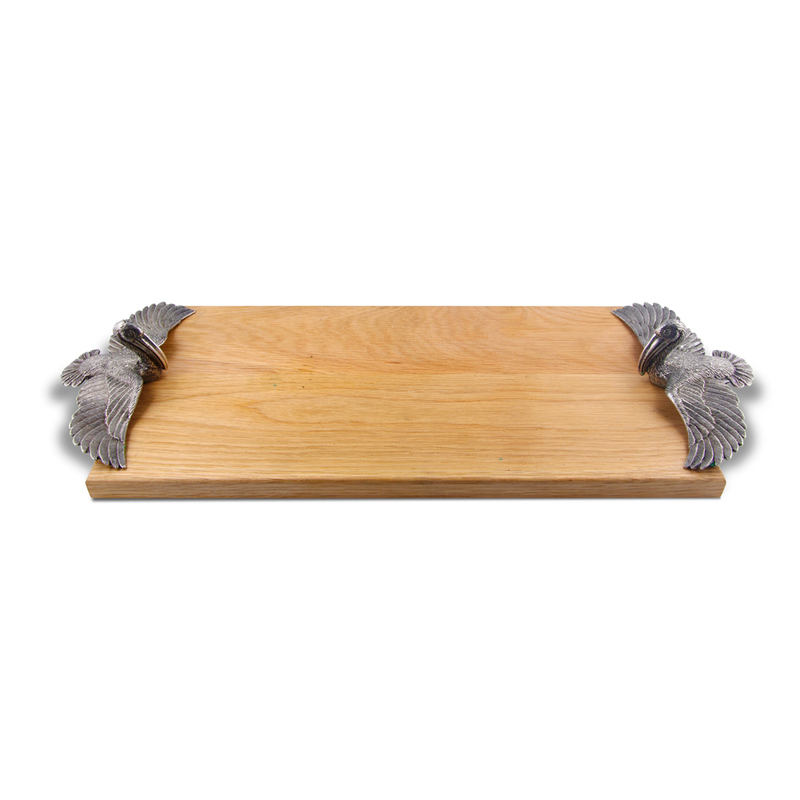 Create a coastal mood in your dining room with the Flying Pelican Cheese Board, enhanced with pretty acacia wood accented by two magnificent flying pelican pewter handles. This coastal kitchen decor ships from the manufacturer. Allow 3 to 4 weeks. Cannot express ship. For more options, we invite you to take the time to browse our extensive range of coastal kitcen decor at Bella Coastal Decor today.